April 4, 2019 -- Teledentistry at one time may have been thought of as exclusively a public health service. However, as the technology has evolved and the costs involved lowered, the opportunity for this service to add to your practice's revenue has grown. Part 1 of this series by Michael Ventriello focused on why your practice should embrace teledentistry. The second part focuses on how to promote the benefits that matter to your current and prospective patients. When your practice makes the leap into teledentistry, you'll have your patients asking why and what it means for them? Here are four key examples of patient benefits delivered by teledentistry and how to explain them. The benefits include increased production from your hygiene team, an expansion of your patient base, and more. 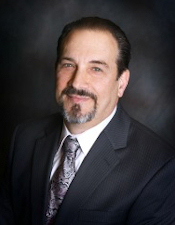 Michael Ventriello is the owner of Ventriello Communications. Teledentistry allows you to say to your patients that you know they are busy and you want to make it easier for them to maintain optimal oral health. This allows your practice to extend hygiene hours before and after standard business hours and even on weekends. If your hygienist discovers something that requires the dentist's immediate attention, your teledentistry system will enable the hygienist to send documents, photos, and videos to the office for the dentist to review when onsite. In some cases, a live video conference can be scheduled to discuss treatment options before making a follow-up appointment. April is Oral Cancer Awareness Month, so your office might consider offering free oral cancer screening exams in the community. If an area of concern is detected during the screening, the teledentistry system will allow you to share photos with specialists to help determine the next steps. Teledentistry technology offers you the chance to talk with patients about their aging family members who may have difficulty traveling to the dentist's office for routine checkups and cleanings. A hygienist can visit the family member at their private residence, assisted living facility, or nursing home to provide oral screening and oral hygiene services. Then documents, x-rays, photos, and videos can be sent to the office for review. Teledentistry can change the way you refer patients by enabling the practice to share charts, photos, video, and radiographs with a recommended specialist for review. Your practice can also schedule a live video conference so the patient can meet the specialist and discuss the treatment in a familiar setting. Yes, you will need to have some disclaimer language depending on your office policies and state regulations. However, now that you know the teledentistry applications that are most likely to resonate with consumers, how do you promote this to current and prospective patients? Just purchasing and adopting this technology won't bring you new patients. You also need to let established and potential new patients know about your practice. I recommend that your teledentistry capabilities should be listed and explained on your practice's website along with any other technology or services, such as teeth whitening, clear aligners, implants, and dental lasers. Social media is another important way to promote the adoption of teledentistry and its patient benefits. It is also important to sustain interest by including information about upcoming screening events and patient testimonials regarding their positive experiences with teledentistry. An electronic newsletter and press release also are useful methods of getting the news out. Pushing this news out to your practice's email subscriber list is a good way to explain the concept and patient benefits of teledentistry, as well as jump-start your investment for implementing teledentistry in your practice. Teledentistry is rapidly gaining traction in private practice dentistry. Patients accept the concept of telehealth in general, and they want the convenience and flexibility that teledentistry delivers. Patients will be attracted to teledentistry -- especially the voluntarily underserved -- and, in turn, seek practices that offer it. If not yours, whose? Michael Ventriello is the owner of Ventriello Communications and specializes in developing strategic marketing and public relations programs for dental companies. Contact him at Michael@Ventriello.com.